This is a sponsored post written by me on behalf of Back To Nature Foods. All opinions are 100% mine. 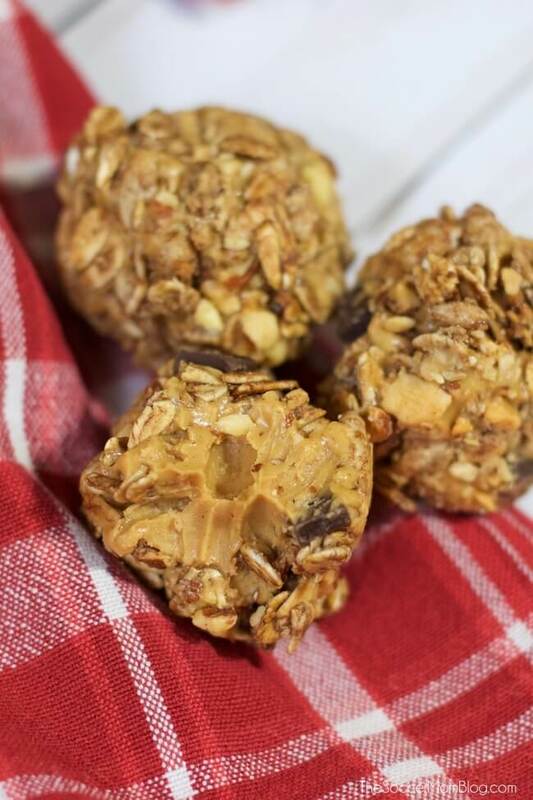 These chocolate peanut butter granola bites are pure genius!! You only need three simple ingredients to make our chocolate peanut butter protein balls recipe! Full printable recipe available at the bottom of the post. 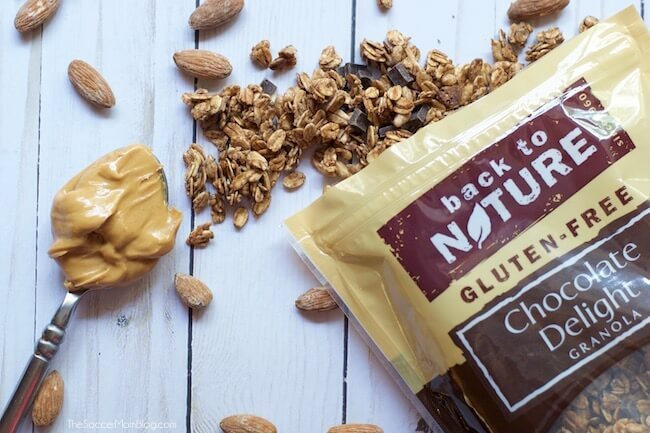 We chose Gluten Free Chocolate Delight Granola from Back To Nature Foods for this recipe because it tastes AAA-MAZING! 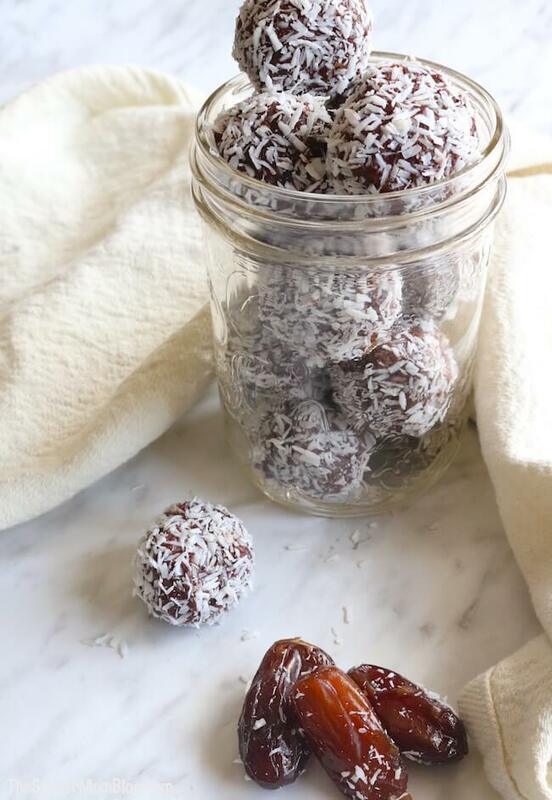 I love to make a batch of these chocolate peanut butter protein balls on Sunday night for the week ahead. That way in the morning when I’m packing lunches, all I have to do is grab a couple and toss them in the lunchbox! Pour Back to Nature Chocolate Delight Granola into a medium mixing bowl. Pour ground almonds into a second mixing bowl. Drop one heaping spoonful of peanut butter (about 2 teaspoons) into the bowl of granola. Use a spoon to cover the peanut butter completely, so that granola sticks. Transfer the granola ball to your bowl of ground almonds. 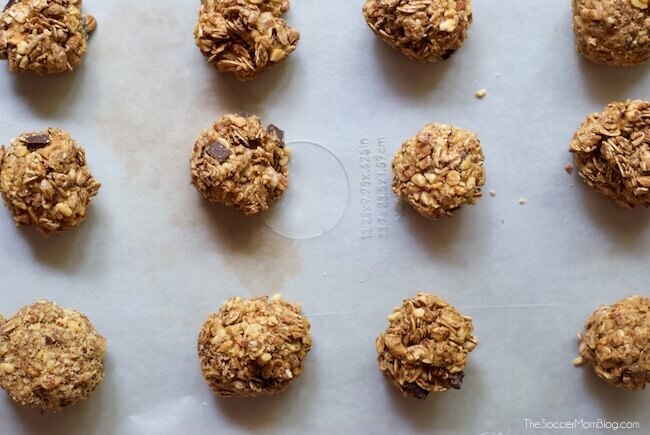 Use a spoon to toss and cover the peanut butter granola balls with ground almonds. Return the ball to the bowl of granola. Finish by using hands to press more granola into the ball and form it into a firmer ball shape. Place energy balls on a cookie sheet lined with parchment paper. Allow to set in freezer for 15-20 minutes, or until firm. 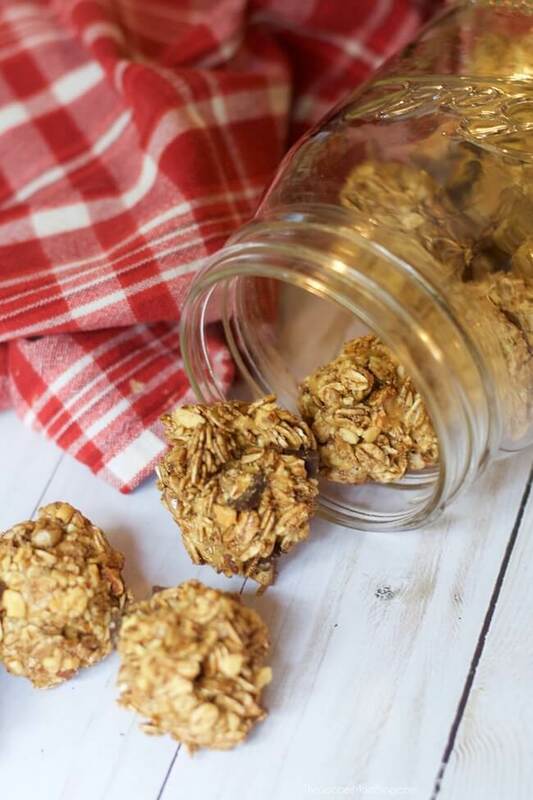 Store granola bites in an airtight container in fridge until ready to enjoy. Free printable copy of this recipe at end of post. Love Back to Nature Foods as much as we do? Be sure to follow their Instagram and follow their Facebook Page for more recipe inspiration! A boost of energy and protein in every bite! 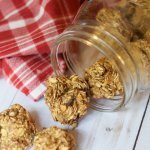 Easy to make ahead for breakfast or as a healthy snack. Pour Back to Nature Chocolate Delight Granola into separate mixing bowl. 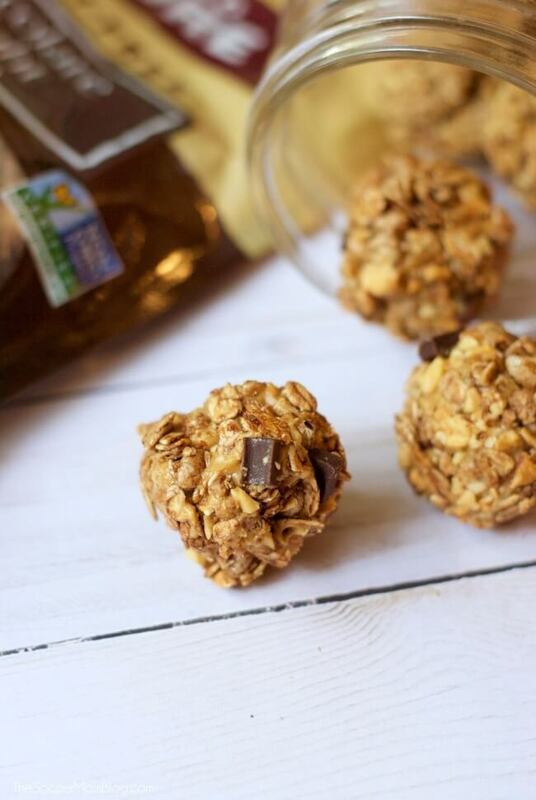 Use a spoon to toss and cover the peanut butter granola ball with ground almonds. Return the ball to the bowl of granola. Finish by using hands to press more granola into the ball and form it into a firmer ball shape. Store in an airtight container in fridge until ready to enjoy. 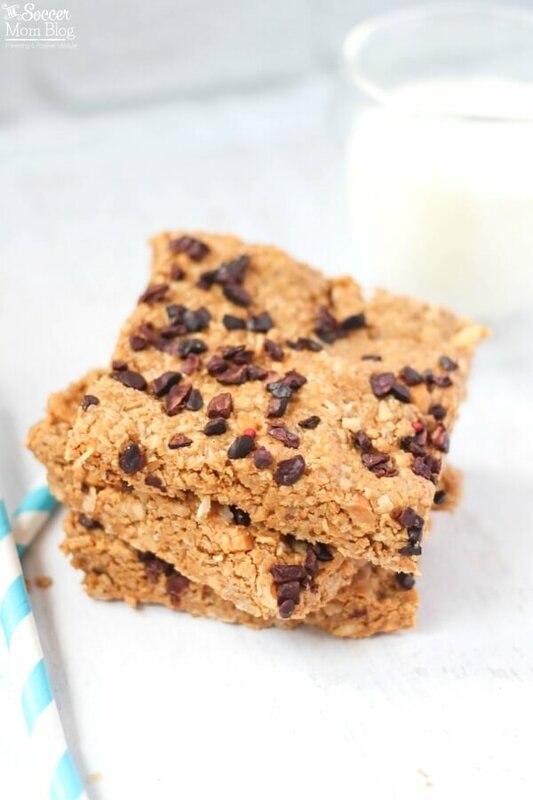 These good-for-you snack ideas and lunchbox treats are easy to make ahead and grab on busy days!